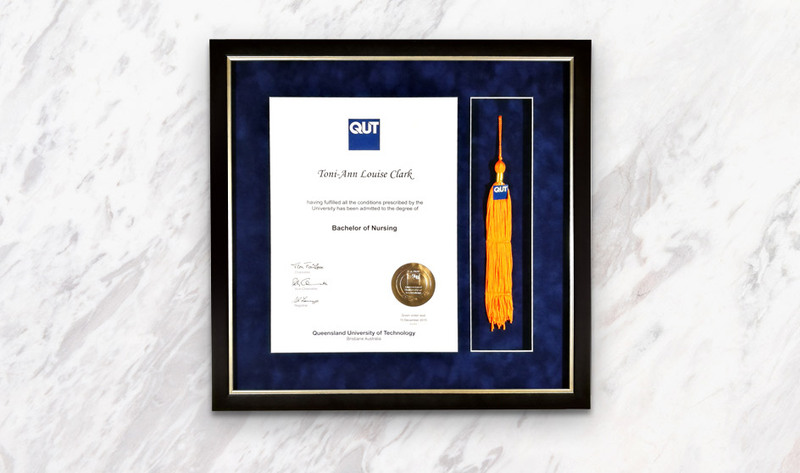 You've worked hard for your Diploma, or special achievement, so now show it off in a quality frame that matches what you've achieved. 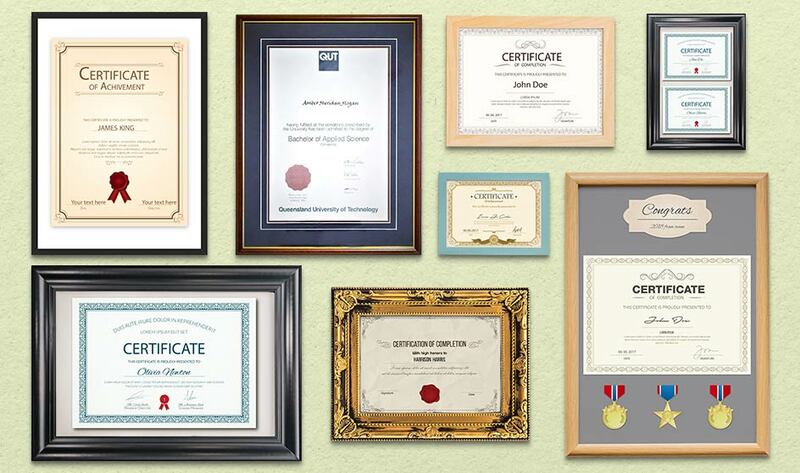 We frame University Degrees, Diplomas, Personal Achievement Certificates, Birth Certificates as well as Corporate and other awards. Whatever the type of award or certificate that you wish to frame we have the experience and use acid-free materials to conserve your certificate for years to come. You always manage to take my craftwork from looking lovely, to looking sensational. I appreciate your professionalism, advice and assistance prior to the framing process while allowing me creative licence to achieve the outcome I visualise for my artwork. I have dealt with many framers over the last 20 plus years and you stand out like a beacon. You’re always on time and your quality is first class. We drive 1 & a half hours from the Gold Coast just to use this picture framer. Lucas is very well priced & the quality of work is outstanding. Today I collected a very sentimental piece of work that looked so absolutely fantastic I am so very grateful. I cannot speak highly enough of his work and recommend him to anyone and everyone. Copyright © 2019 by Cutting Edge Picture Framing.